As I was looking around the gallery trying to decide on one layout for this month's scraplift, which is O so hard, I decided to do something different. I want you to scraplift something that inspires you. Here's what you need to do. 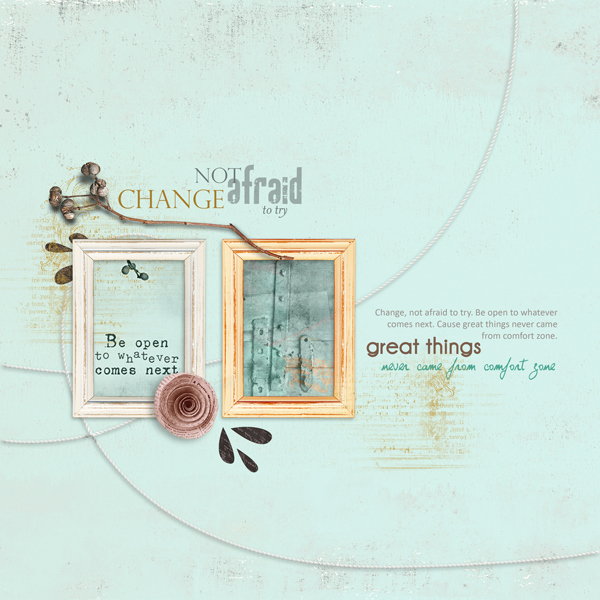 Go into the Oscraps gallery, find a layout that you love and want to scraplift. When your layout is complete, return here and share with us the layout you lifted as well as your new creation. Also, please make sure you leave a comment on the layout you lifted. It will make their day to know you decided to lift their layout. In need of a little push? Here's some inspiration from the Cheery-Os to help you get your creative juices flowing. And here is Anika's lift. And here is Veer's lift. And here is Bao's lift. Your page along with the page you lifted must be posted in the Number 6 Gallery by the end of the month and linked back to this thread. You must update the monthly tracking thread to be eligible for your coupon. I know exactly what I am going to lift... have been studying it for awhile now trying to figure out how I want to lift it... may take awhile though! I took this photo at my son's home, and have made an anniversary card for he and his wonderful wife. So many beautiful lifts already! Thank y'all! I happened to find some time to scrap while the little girl of my friend is sleeping! I challenged myself to choose a layout with a style different from mine. I chose this one from Tamsin, that is so beautiful ! Loving all the great colors in these pages!